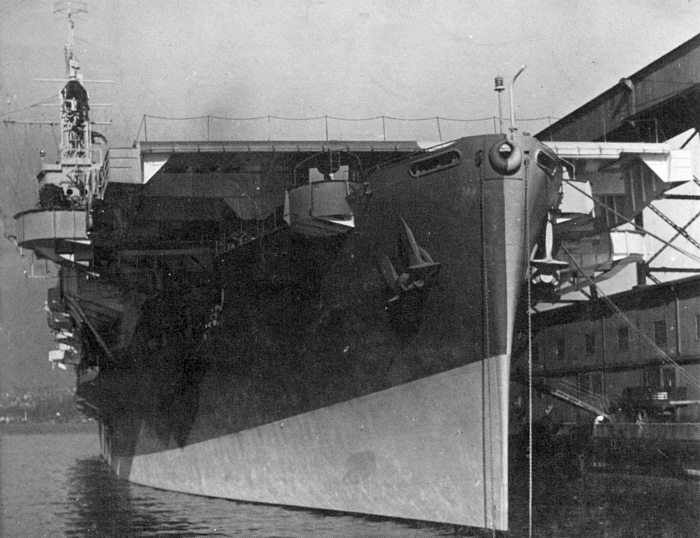 HMS AMEER at Vancouver on completion of her modifications at the Burrad Dry-dock company yard. 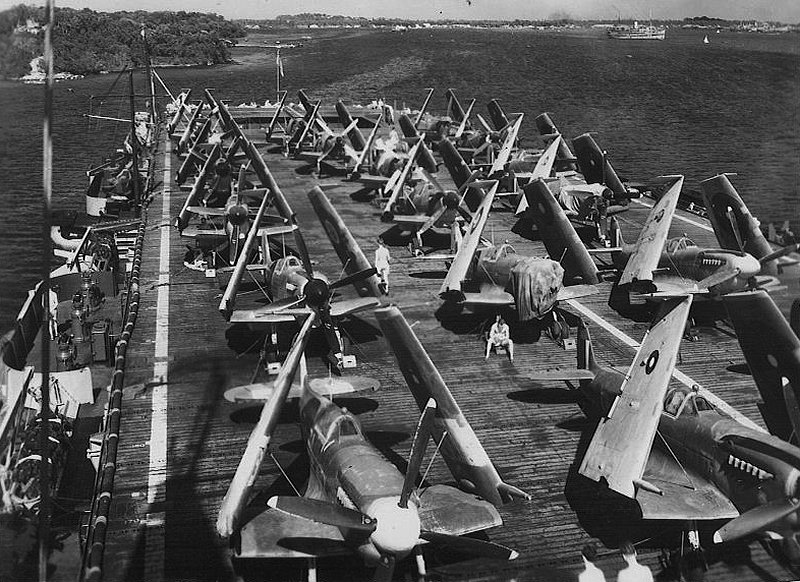 Unidentified crew members pose with a Seafire on the flight deck c. July 1944 while the ship acted as a ferry carrier. 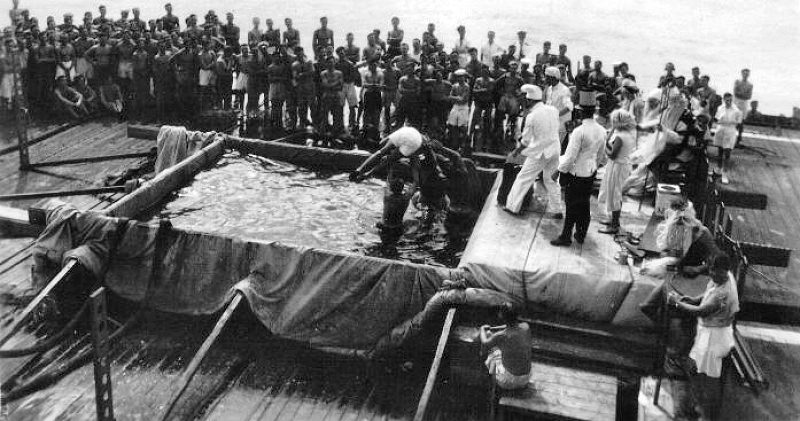 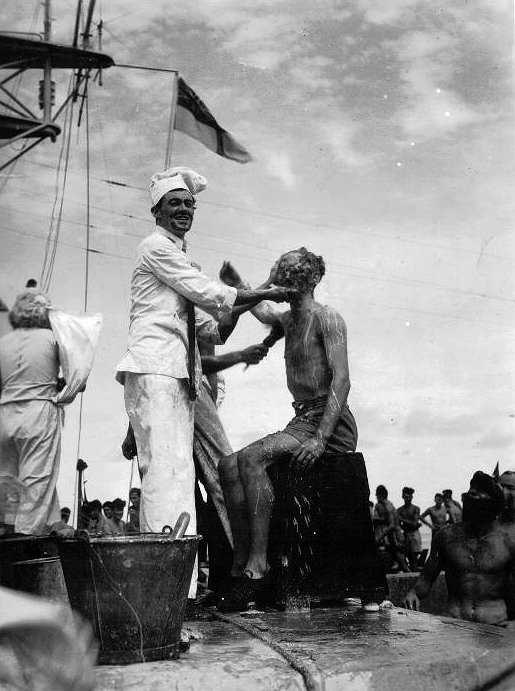 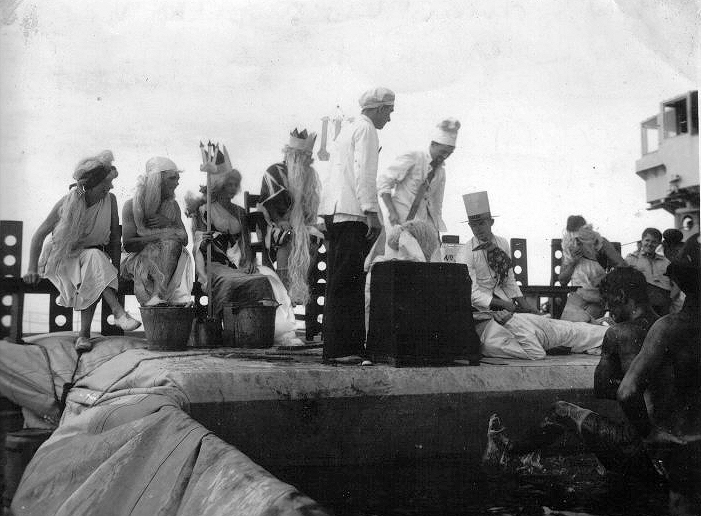 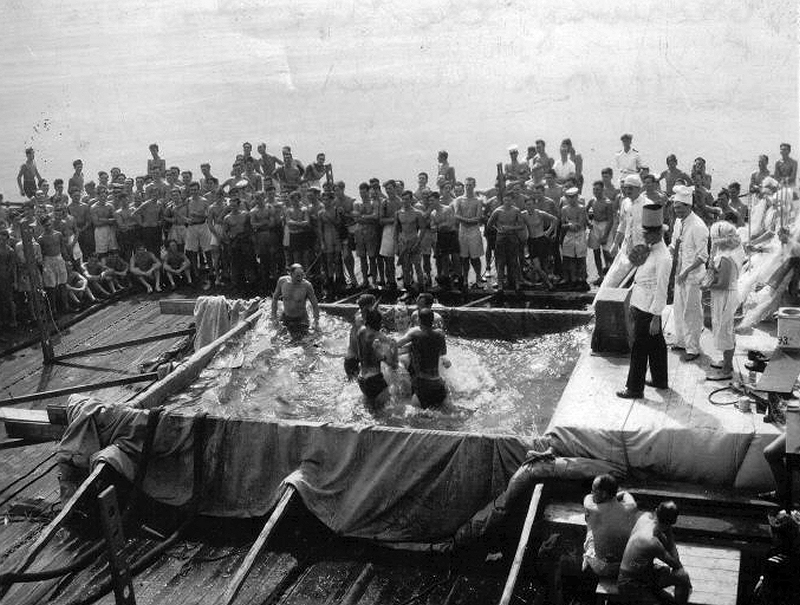 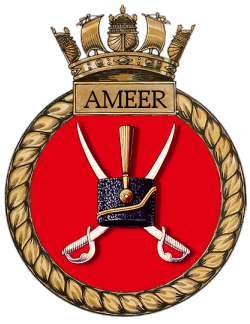 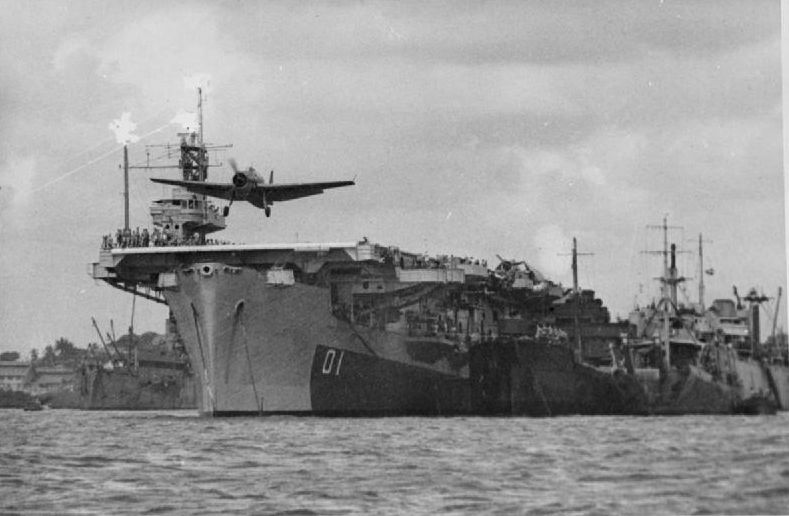 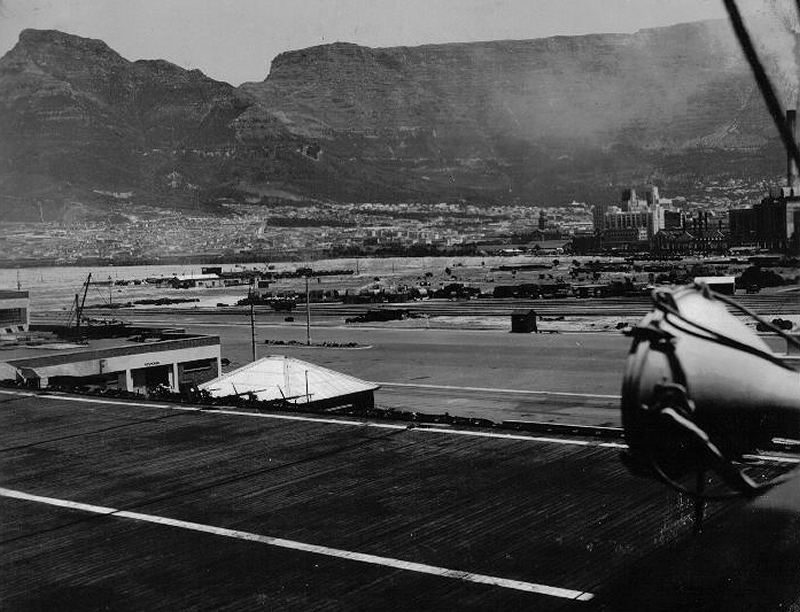 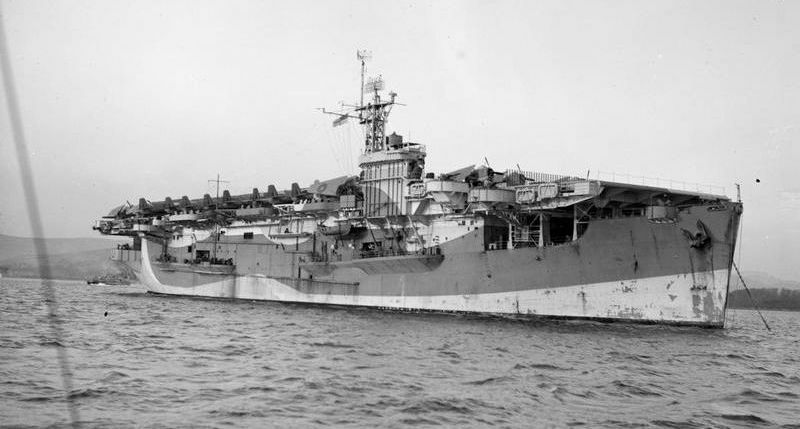 HMS AMEER crossed the equator for the first time in the late summer of 1944 when she began anti submarine sweeps in the Indian Ocean. 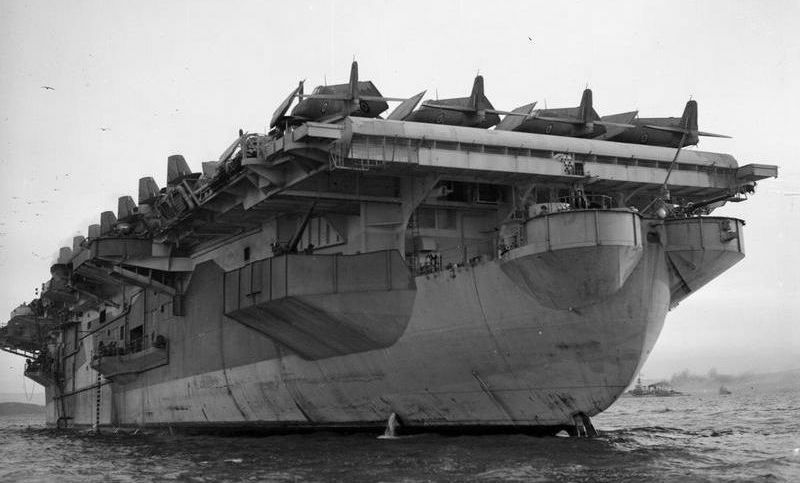 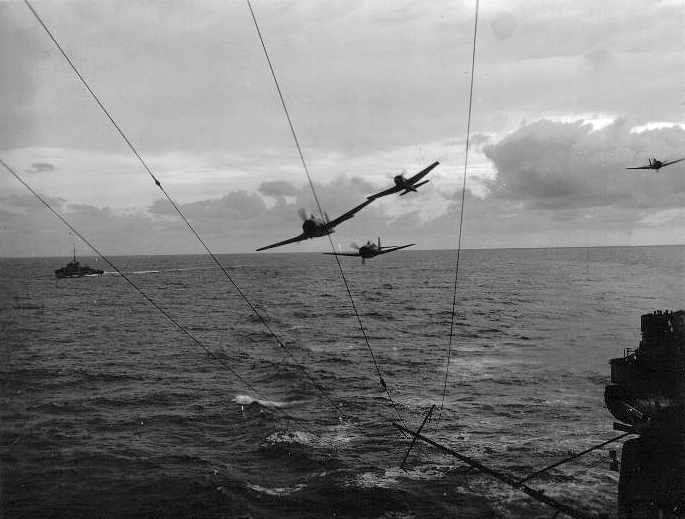 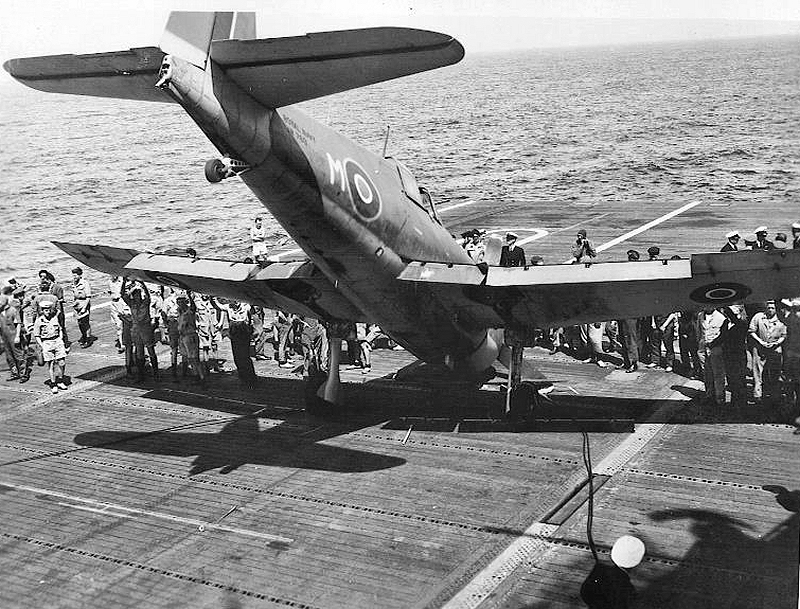 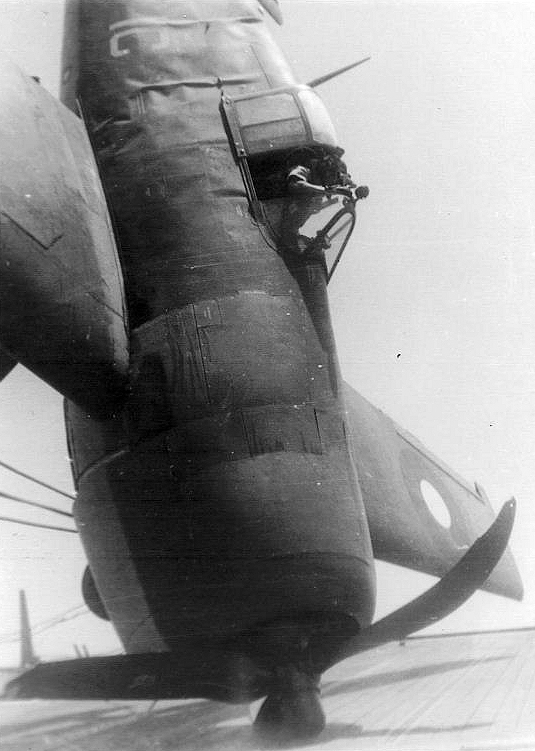 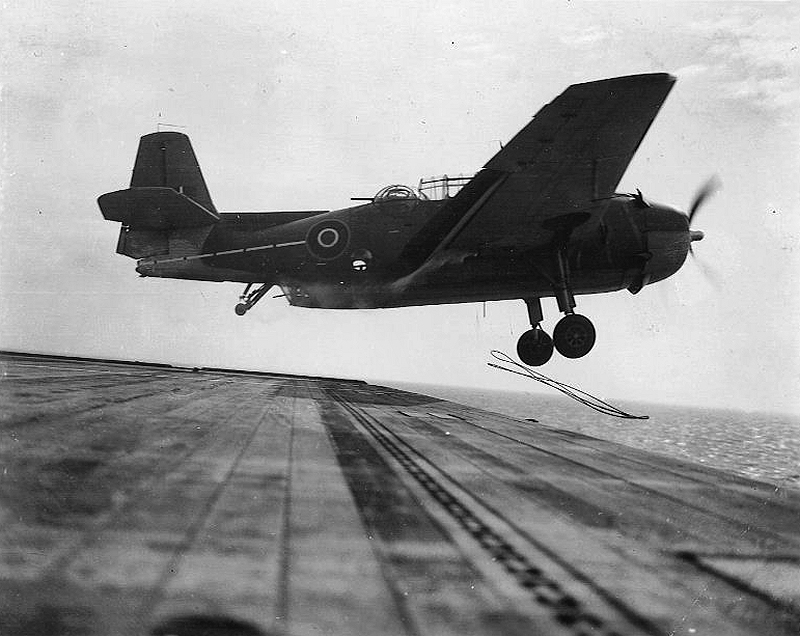 Lt W. M. Barr in Hellcat JW723 ('6G' 804 Sqn) has missed all the arrestor wires and is stopped in its tracks by the barrier on HMS AMEER December 12th 1944.